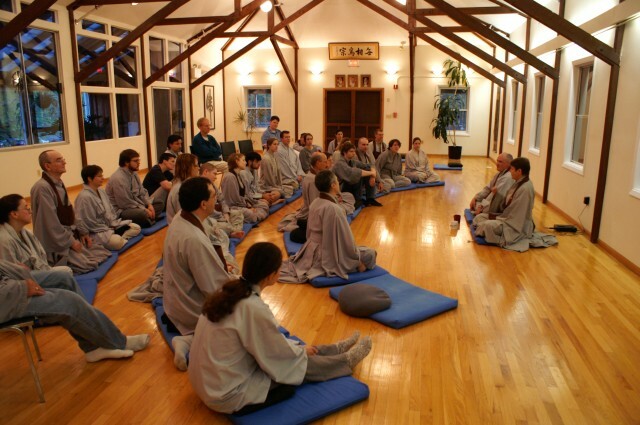 As you may know, Providence Zen Center does not charge a fee for attending the daily practice. One of the major sources of income for the center is membership. Membership helps the center to maintain its operating expenses and to continue its weekly and monthly programs. It also helps support the Kwan Um School of Zen and its effort to bring Zen teaching to new students and to other parts of the world. If you visit the center frequently, attend weekly practices, have interviews, join our weekly dharma talks, then membership is something to consider. Also, if you can not make it to the center regularly and still want to support it, one way to support it is by membership. Members receive discounts at our monthly retreats. They also receive the School’s Primary Point magazine. To become a member in North America, please print out an application and mail with your payment or become a member online at the American Kwan Um School Membership page. If you would like to make a donation to our center, you can do it securely online with credit card or PayPal.